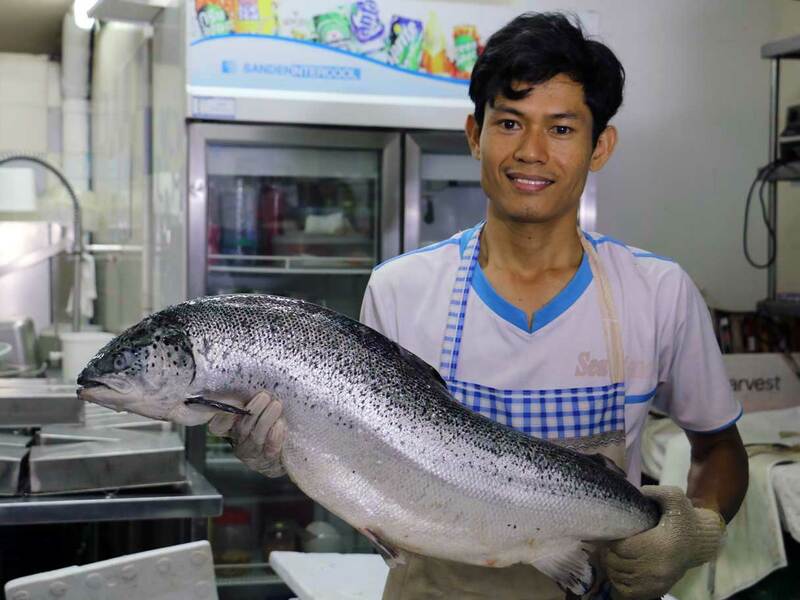 Cambodia’s Salmon King Mao Vutha followed the regional trend for Japanese-style fresh salmon when he first set up his importing business. He has since made the product his own with a Khmer twist. 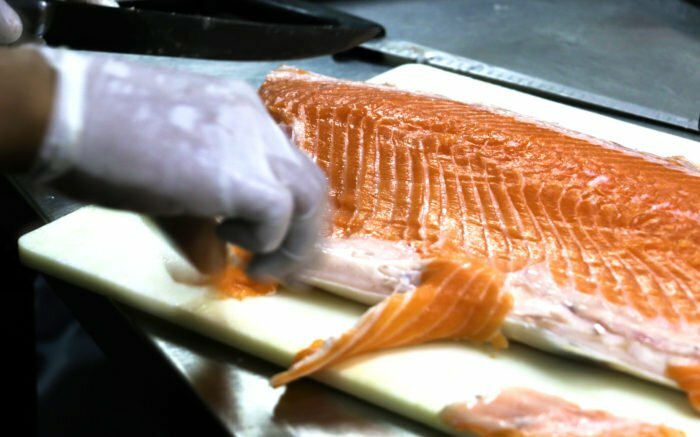 The largest importer of fresh salmon in the country has the primarily Atlantic salmon delivered to the door of his restaurant the Salmon House every day. If you eat salmon in Phnom Penh it probably has been imported fresh and checked by Vutha and his staff in his kitchen shortly after arriving by plane from sustainable ocean farms in Norway. Aeon Mall and Lucky Supermarket stock his fish and the fish reaches Phnom Penh’s other restaurants through distributors. Much of the fish is destined for Phnom Penh’s now many Japanese restaurants but at the Salmon House Phnom Penhers can try their favorite Khmer dishes at lunchtimes for regular prices as well as a range of international dishes. 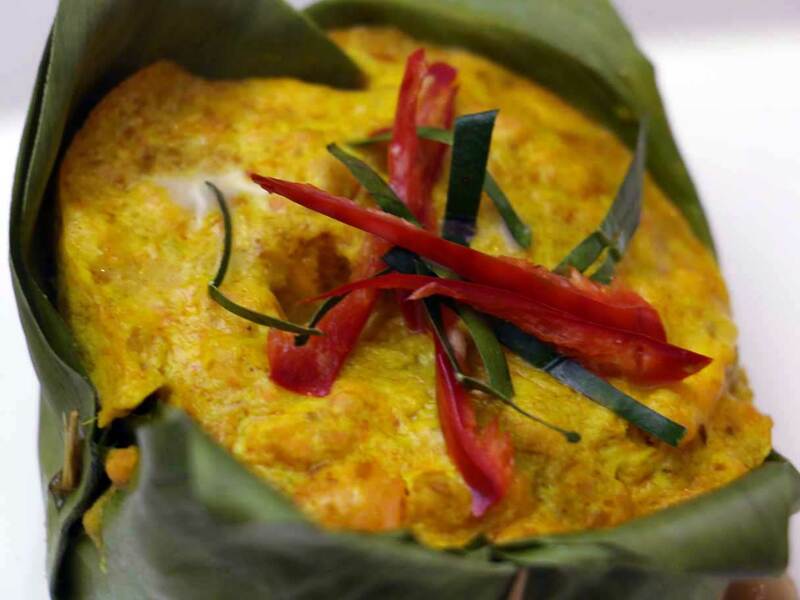 Being the largest importer means that the fish at the Salmon House is not only certifiably the freshest but Khmer dishes are priced at near cost. It was while working as an independent consultant in Bangkok that Mao Vutha met a business partner who was dealing in smoked fish who wanted to expand. So Vutha decided to go large on his partner’s offer and take the regional trend for salmon home, too. Now Vutha smokes some of the fresh fish he imports in the restaurant’s own custom smoker. “Just like Khmer smoked fish you can eat it with porridge,” he enthuses over some freshly smoked fillets. As Vutha’s staff unpack and check the Salmon before delivery it smells as fresh as the open ocean. Staff run their gloved hands through the salmon’s moist gills clear as in a fish just netted. At the Salmon House the crispy skin makes for excellent beer snacks;. The Salmon Amok is rich spine meat that most other outlets cannot easily get their hands on. The bones make stock for a salmon soup and the choicest cuts are plated up as steaks or fresh sashimi. Nothing is wasted from the sustainable catch and the fish’s sustainable origin and use in Bong Vutha’s kitchen is as important to its owner as its freshness. Even a good number of the restaurant’s vegetables are grown from salmon farming by-product in greenhouses. 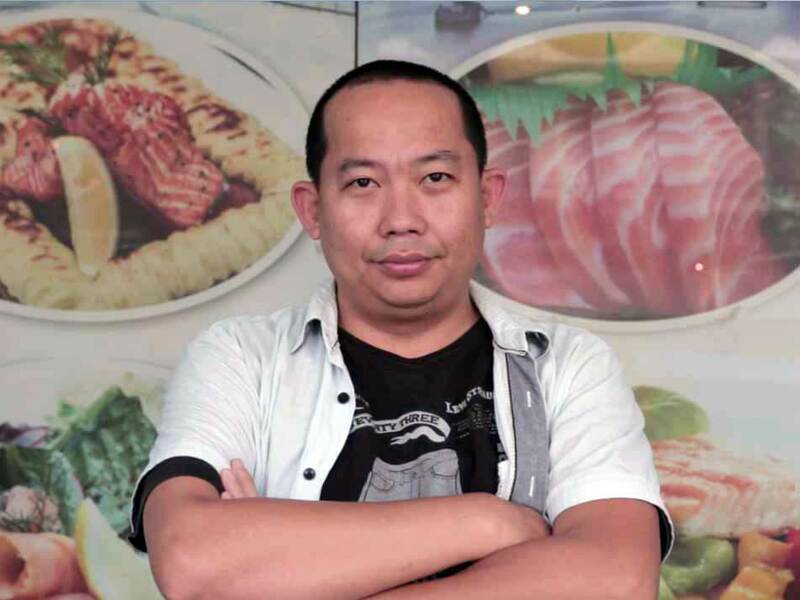 Vutha still sees his primary mission as turning more Cambodian tastebuds onto salmon; and to prove, through his restaurant, that it can be affordable and eaten every day: even though communicating that truth felt, initially, impossible. Vutha is also a keen a keen proponent of salmon’s many health benefits. On matters of health, origin and price there’s nothing much wrong with this picture, at all, and it all tastes bloody good, too. Mission accomplished. There has been no pushing upstream for the importer in the wider market – most of which, of course, is Vutha’s. The market’s expansion has meant that Vutha has been able to accordion the market and import Tasmanian salmon and wild salmon from Scotland. Unlike Tasmania or Norway, Scotland can export wild salmon, which is more expensive. Mao Vutha recognizes that health benefits and a product’s origin is a matter of deep concern to ordinary Cambodians, who often ask where vegetables are from at the market. 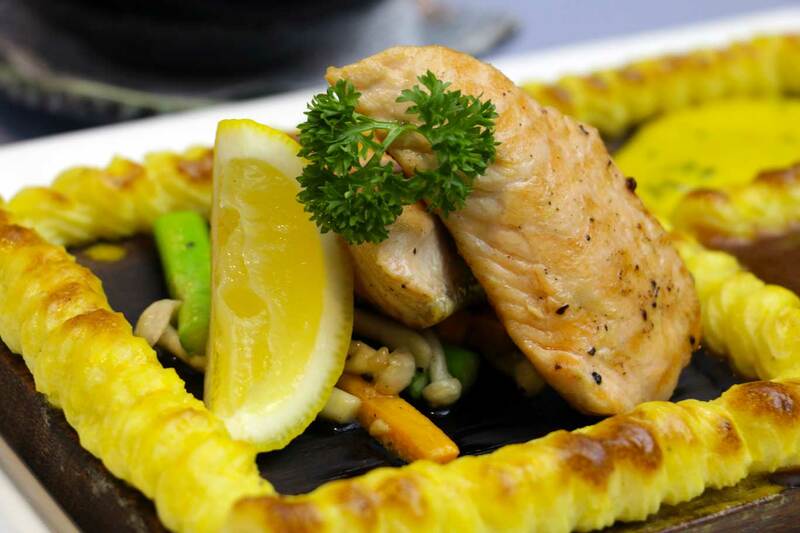 “Salmon is considered to be a King Fish because it is very healthy. And from when I started there has been a lot of news about food contamination,” he says. People are trying to change how and what they eat. At the Salmon House, Cambodian people can change what they eat and lunch on Cambodian style food how they like it including the healthy vegetables at the restaurant’s free salad bar, and not walk away with holes in their pockets. It seems that Mao Vutha, who formerly worked on the Khmer Rouge Trials, can’t help but right wrongs, even when serving you lunch.